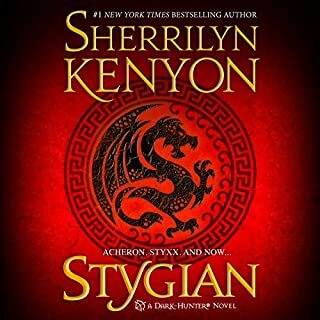 In a universe where assassins make the law, everyone lives in fear - except for Syn. Born of an illicit scandal that once rocked a dynasty, he always knew how to survive on the bloodthirsty streets. But that was then, and the future is now...Syn was raised as a tech-thief until his livelihood uncovered a truth that could end his life. He tried to destroy the evidence, and has been on the run ever since. Now trained as an assassin, he allows no one to threaten him. 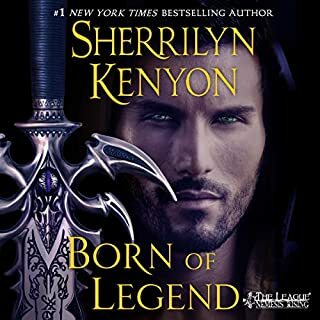 Born an Outcast, Talyn Batur has spent the whole of his life fighting against the prejudice of his people. An Andarion without a father is not something anyone wants to be. 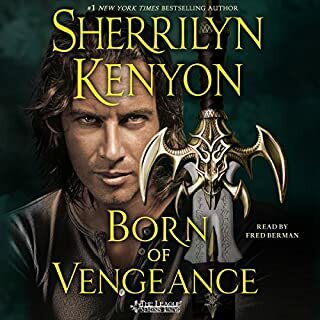 But when his companion's brother draws him into a plot against the Andarion crown, he finds himself torn between the loyalty to the planetary government that his mother has beaten into him and his own beliefs of justice and right. In a universe where corruption and deception rule all aspects of life, sparks of rebellion threaten to ignite. But Kere has a dark secret. Born into a world that is as privileged as it is corrupt, his real name is Darling Cruel - and he is heir to the government Zarya wants to overthrow. No one has ever seen the real man behind the legend - no one except Zarya. But when she allows a weapon he designed to be used against his beloved sister, all bets are off. 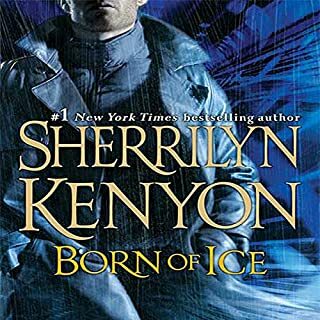 What did you love best about Born of Silence? I adore Darling and absolutely love Maris. Even though this is Darling's main story, Maris is one of my favorites from this series, along with Callien and Chayden, and he was featured a lot in this book, for obvious reasons. The relationship between Darling and Maris never overshadows the relationship between Darling and Zarya, which was something I was worried about. Even though Maris's opinions and feelings are never in doubt, he never forces anything on anyone in the book. A true brother he is, regardless of the situation. Maris is the kind of man I'd want to endure hell with, or at the very least, have around when I was done with hell. I liked Darling's character arc, even though it was hard to listen to, much like Acheron's. Even though we know he's had a very rough life, you constantly hope that someone protects him, but it doesn't happen until he's hit his breaking point and crashed into Crazyville. His unwavering commitment and love for his family is mirrored in Maris's care for him when he needs it, even though the care Darling needs is from a different character. 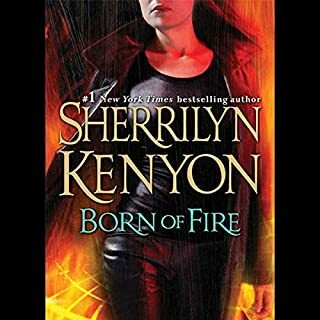 As always, Ms. Kenyon rips out your heart but pieces it back together with a strong cast of characters that make you value the people you have in your life. He is the best narrater on the planet. Enough said. Too many to mention, but I cried when Darling tried to protect Zarya's ring that she gave to him, and it was brutally taken from him. I don't usually cry, but I did for Darling and Maris in several spots of this book. Have a new box of kleenex with you when you listen to this one, and don't listen to it in public for the first time. You don't want to be in Starbucks and people think you're crazy because you burst into tears as you order your coffee with your earbuds in. Yep- that happened to me. Several details left out in the void! 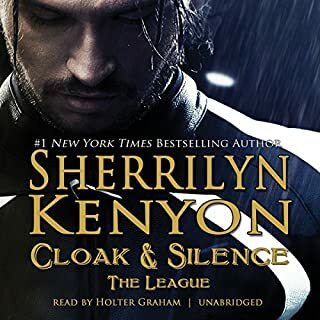 I love the League series and that being said, this was not one of Ms. Kenyon's best. 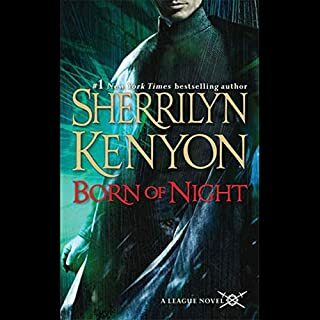 Nykerian's story, Syn's story and Callen's story were all drool worthy the other book about Nykerian's and Kiera's son not so much. Darlings beginning was impressive. The mysterious stranger, badass, scarred, tormented but strong hero meets the woman he's destined to be with, started out terriffically like a balloon you are inflating. Getting, bigger and bigger. Then it developed a pinhole leak that slowly deflated and all you were left with was (life has kicked the crap out of me, my lady betrayed me and I've gone mad). Which is not a bad premis but where was his justice, good triumphing over evil, good slaps the s**t out of the bad guy. After Darling was tortured by the resistance, time spent in the hospital was the blink of an eye, nothing was heard about Zarya until she was sold into slavery. Darling goes on a rampage kills his uncle quickly and very unsatisfyingly, kills the soldiers who mistreated him quickly and withput explainantion the Maris finds Zarya brings her back which no one objects to notwithstanding all of his friends blamed her for Darlings torture, but yeah, they and Darling bring her back into the fold like nothing ever happened. What about the perv Nylan and his evil social climbing wife, the schemeing med tech in the palace, Zarya's second in command who was responsible for torturing Darling, the little girl Darling gave the medal to, her father who was head of the workers and Zarya's BFF Torre was mentioned once in the beginning, and could Pip's death been any more anti-climactic, it was just a side note. I wanted to see all of them get was was due them but the were never mentioned again. Then all of a sudden Zarya calls Torre (why him) to go to the resistance HQ with her. Oh and he just turns out to be gay and guess who he ends up with. Why weren't the positive deeds Darling orchestrated used to build him up with the workers and the media. And Mind Control, REALLY! REALLY! the citizens thought Zarya was under mind control devices. 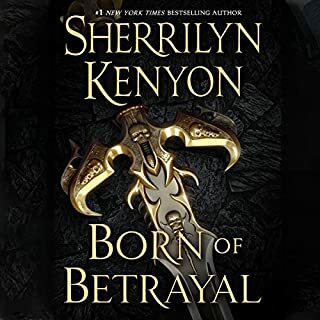 Ms. Kenyon would have done better had they thought traitor to the cause because she regained her social status or even STOCKHOLM would have been more believable. It seems to me the story would have infinately been more whole and believable had these details been resolved. I was initally excited about how lengthy the book was but needless to say it was just filler and nothing to enhance the storyline or make the characters more three dimentional. A lot of contradictions in personalities i.e. Darlings Mother, Sister, Little Brother and Big Brother. Bringing the mother into the story at the end after the things she said about Darlings scars was totally the wrong move, should have just left her as the coldhearted Witch she had been all along. And Yeah the bratty brother all of a sudden an ultra cool cimerian killing machine totally not believable. But hey folks that's just my personal oppinion, if I could write books I'd be an author. Still Love Ms. Kenyons books. The friendship between Darling and Maris was the most interesting. The least interesting was Maris' wedding fiasco. Which character ??? as performed by Holter Graham ??? was your favorite? Holter Graham always does the lead character well but in a previous story didn't Nykerian have an awsome accent? I kept listening for different accents since these were all beings from different worlds but they all sounded like they hailed from Mid-West America. That aspect was pretty disappointing. I've heard Mr. Graham do much better with the different character voices. 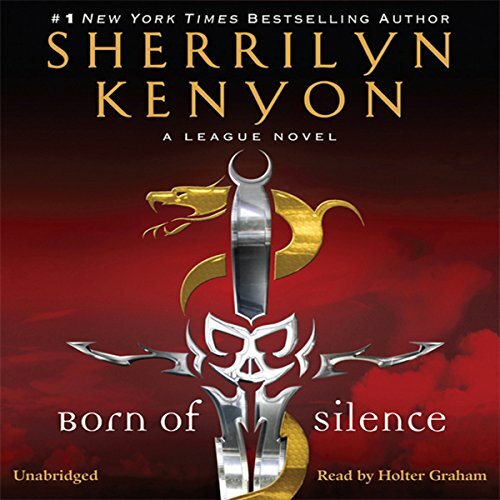 Could you see Born of Silence being made into a movie or a TV series? Who should the stars be? I would pick another League story to hit the Big Screne. Darling's story was like a 5000 piece puzzle that you assembled only to realize 20 or 30 pieces are missing from the box. 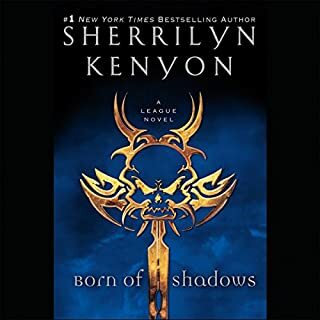 Ms. Kenyon's story of Darling Cruel closely resembled the beginning of Acheron's story but where Acheron got retribution and justice in the end, poor Darling just left me disappointed and unfulfilled. 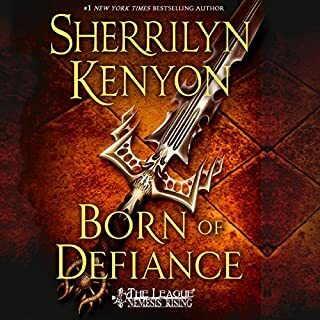 Would you listen to Born of Silence again? Why? the hole store was good i liked that it has a lot of detale of what has happen to him in his life. the love she has for him no matter what he looked like or what he has done just makes me wish that people in real life would look at each other in that way. Finally learned more about Darling and his back story! Great read..on to the next book. Absolutely a must read/listen. 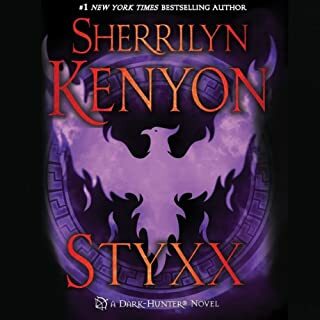 I've read everything Sherrilyn's ever written, and Darling's story is by far my favorite! Action packed, romantic to the core, and such a wonderfully heartwarming story that reminds us no matter what we go through in life, we can still be a great person and do great things for others. One of my Favorite League stories. One of my favorite league stories with plot twist and turns. You don't want to mess with Darling. Awesome series as always. This didn’t let me down. Better plot than the first couple of books and more substance. Glad I purchased it. Loved the story, need more. The narrator needs to work on his female character voices. they all sound like they have a stutter. Other then that it's done very well. 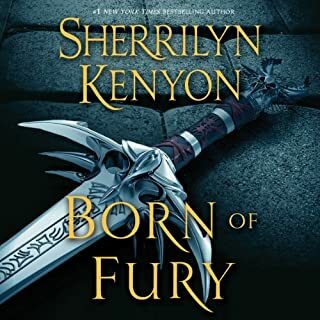 this series is my favorite of Sherrilyns, tho the Dark Hunter Series is definitely stepping on its heels, fight to trip it like a bratty lil brother! Sherrilyn' s ability to show you the best and worst sides of life; show us that our views can be so misconceived, has always spoken to me.. She transports you into other worlds, her anti hero/heroines make you desire to be part of their brotherhood/sisterhood..
Holter Graham is, as well one of my favorite Narrators even when speaking as a women he delivers a believable performance, one that transcends you through each character with ease ..